We nearly get to hear David singing Someone Like You during the KL sound check but too bad that didnt happen 😦 Still it was nice to see that video of David that you’ve posted above. 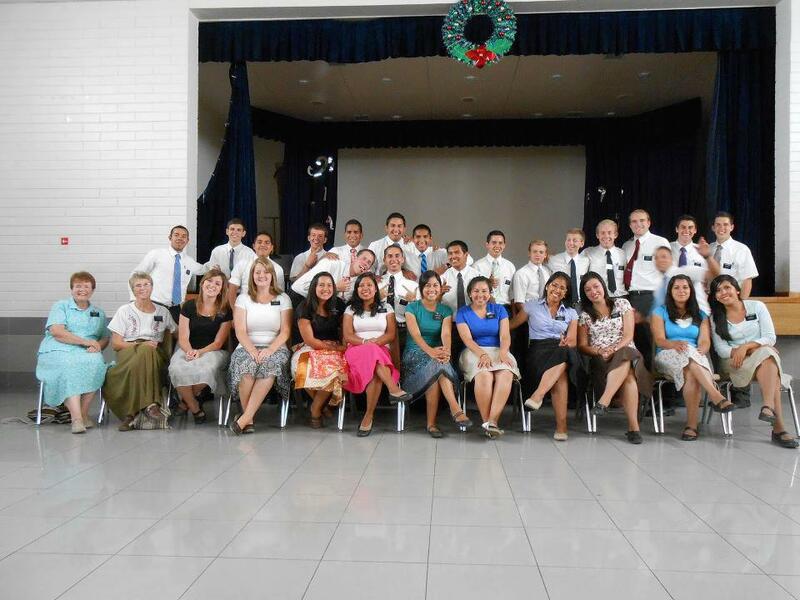 So do you know where Elder Archuleta is being shipped to? Yes I’ll most like say the same thing as you, Tracy. Its very natural to say that isnt it? Hi Tracy! 🙂 How’s Form 5 treating you? Or perhaps something like “I’ve missed you so freaking much, jerk”. It’s a little shorter. haha I’m always slightly mean to David. I lost 3 days of my life stuck in bed drugged up and groggy by a massive cold and fever and other complications, glad to see you guys still talking and see Tracy’s new post. Still feeling weak and drowsy and guess what, I couldn’t find David in that pic until I enlarged it. What’s gonna happen in 2014 – I won’t recognise him at all. I think the thing I wanna say to him right now is, Why didn’t you come and visit me when I’m sick! Like liying, I’ll say something mean to him when he comes back. Like, now that you’ve had your 2 years’ vacation, can you please stay put and concentrate on your music! Yes Shirley, he was almost going to sing SLY when Adrian stopped him to do something else. That was a real bummer. Who’s Adrian? I feel kinda lost when you all start talking about the soundcheck. I was sitting on the ground outside while you all were being serenaded by David. I didn’t even bring anything to read. Tracy did you go for the soundcheck? At one point I was standing next to Sanjana because she came out to tell her mum that David sang happy birthday to her. Gahh I almost blew an artery. I’ve emailed my article already. You can post it up when it’s convenient. Liying, Adrain is from Sony Malaysia. LOL that Sanjana didnt faint too. She was super excited as anyone would be if David were to sing specially for us. So do you manage to hear David singing at the soundcheck from outside? While I watched President Obama’s Inauguration speech this morning and Beyonce singing their National Anthem, I wished it was David singing it instead. liying, your article should be posted soon. 🙂 Ok I’ll think of something meaner to say to him when he comes back.